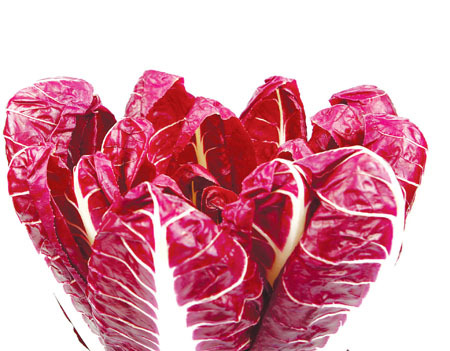 Radicchio, or red chicory, adds colour to your garden and dinner table. This vegetable is used widely. Wine-red leaves have white ribs infused with tangy taste. Radicchio is an Old World chicory, a frost-tolerant vegetable that can be mistaken for cabbage. In fact, growing radicchio is much like growing cabbage. Heads are small, reaching a size between an orange and a grapefruit. Cool weather sweetens leaf flavour.